The large Greek black olives. Green, firm, young little olives from the Languedoc-Roussillon region. Seasoned black olives from the Provence. Small, sweet little Taggiasca pitted olives in oil. 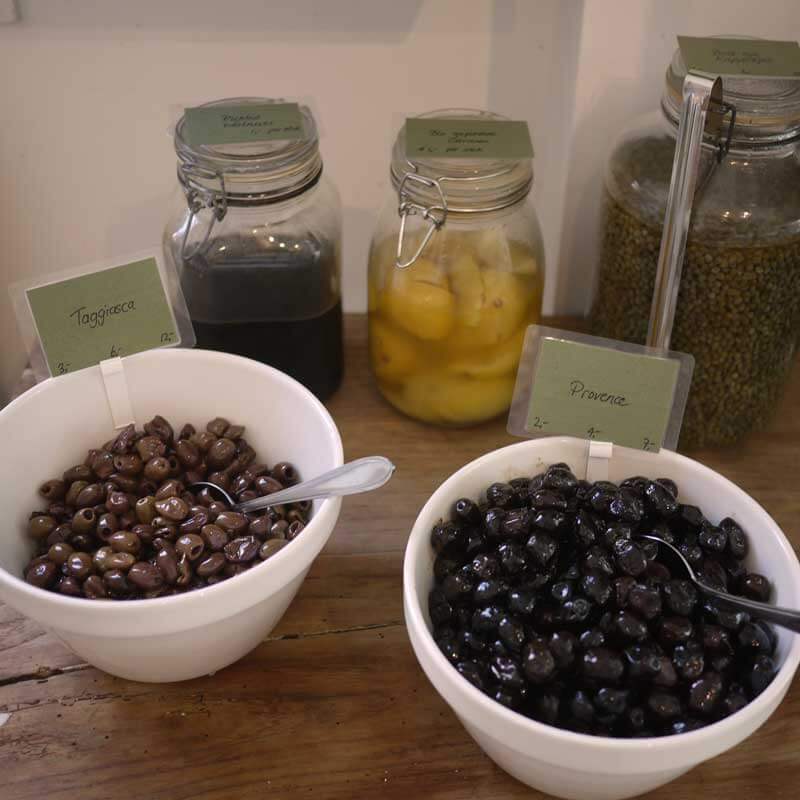 Small, punchy olives from the South of France. Plump ripe olives from Italy with a thin deep red skin with an almost wine-like taste. Canned anchovy olives, great served chilled with a drink. High quality saffron from Greece. A fabulous taste maker in risotto, seafood dishes, soup and stews. Excellent dried organic oregano and chili peppers from Sicily. 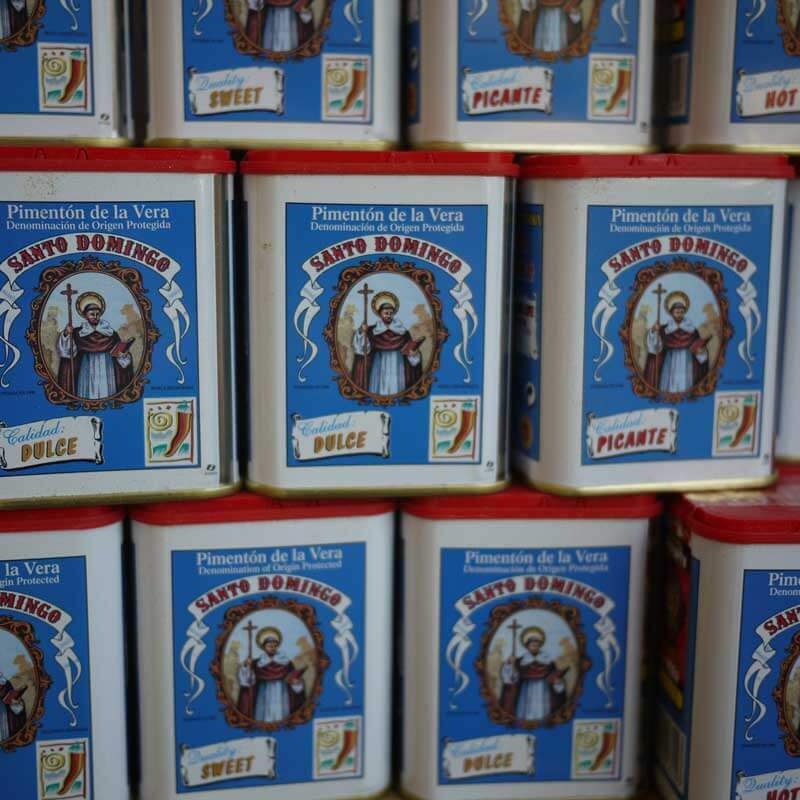 The very best smoked paprika powder from Spain comes in two tastes: dulce is the softer sweeter variant, and picante is the more spicy, sharper one of the two. De Oliewinkel has various salts in its assortment, such as course Himalaya salt, kelp salt, algae salt and fleur de sel from the Guérande, a town on the French Atlantic coast. The well-known Maldon-salt from England is also stocked on our shelves. It is a pure salt without any additives and comes in beautiful thin flakes.